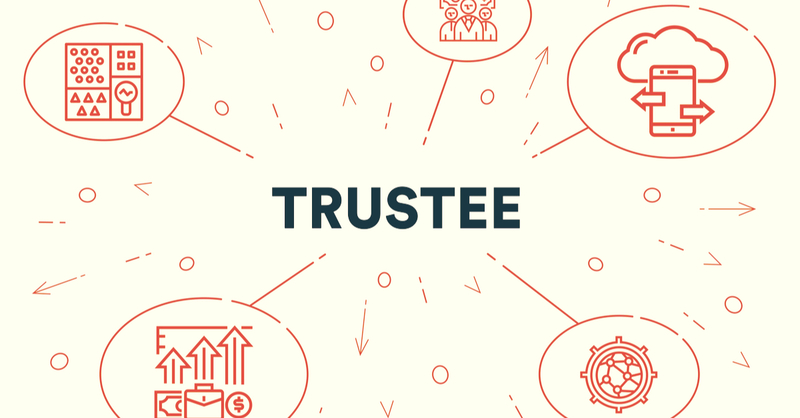 With a growing number of trusts being created every year in the United States, the possibility that you may be named as a trustee may also be increasing. Maybe you were chosen by a sibling, a parent, a colleague or a friend to serve as trustee of the trust they have created for their children, their spouse or some other group of people. What does this mean? How do you prepare yourself to take on this very important but possibly unfamiliar responsibility? Depending upon whether the trust was created during the grantor’s lifetime (inter-vivos) or upon their death (testamentary) you may or may not be familiar with the responsibilities entrusted to you. It may sound like a daunting task, but in general, a trustee is responsible for administering (think record keeping, tax reporting, etc), investing and distributing trust assets in accordance with the terms outlined in the trust document. However, it is important to know that a trustee may be personally liable for mis-actions or errors, so always be prudent and diligent in your actions. It’s probably good to familiarize yourself with the basic vocabulary related to a trust. There are some terms you should immediately learn. The grantor or settlor (sometimes called the trust creator) is the person who transfers their property (cash, securities, real estate etc.) to the trustee and creates the terms that create the trust agreement. The beneficiary is the individual(s) or organization who will/may receive distributions from the trust assets during the term of the trust. The remaindermen (or remainder persons) will ultimately receive the trust assets upon termination of the trust or death of a beneficiary. So, you know your responsibilities and the people who will be affected by your decisions, but what are the rules which govern your actions? A trustee is considered a fiduciary, which in simple terms means that you must put the beneficiaries’ interests ahead of your own interests. The fiduciary relationship is one that involves trust and obligation and is subject to a higher standard than other types of relationships. A fiduciary has a duty of care; they must be reasonably informed, act in good faith, and exercise rational judgment when making decisions without the presence of a conflict of interest. Trustees must make decisions that are in the interest of the beneficiaries and not for their own benefit. This is a duty of loyalty. While there are many technical aspects to your role as trustee which are beyond the scope of this post, it is just as important to consider the human elements of the trust. As mentioned above, there are several people that may be affected by your actions as a trustee. A trustee must focus on the beneficiaries’ needs and circumstances. In many cases the trustee is appointed because they have some type of connection to the beneficiary(ies). Maybe you knew the beneficiary when he or she was a young child but haven’t seen him or her in many years and now you may be dealing with an adult who you know very little about. Hopefully you had a close relationship with the grantor and have discussed his or her intentions for the trust. In any case you will want to spend some time getting to know the beneficiary and their needs. Does the beneficiary financially rely on the assets of the trust? Are there special circumstances surrounding a beneficiary’s request for a distribution (illness, loss of income, business opportunity, etc.)? In the case of the remaindermen, depending upon how long ago the trust was created these may be people you have never met, young children or children who have not yet been born but in any case, you must take their future needs into account when making decisions about the trust assets. The laws that govern trusts are constantly changing. As a trustee, it is important to surround yourself with a team of professionals who can advise you. Make sure you get to know the attorney who drafted the trust (when possible), the accountant who will prepare the tax returns and handle tax compliance, and an investment advisor if you do not want to manage the investments yourself. The role of a trustee is an important responsibility but it doesn’t have to be difficult or stressful if you have the right team in place.